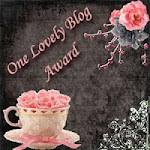 Over a week ago, I received the "One Lovely Blog" Award from Jessica at Mrs. Stanford's Class and Lisa at Learning is Something to Treasure. Now it is time for me to pass it on, but the problem is that every blog I go to has received it already. So, I am just passing it on, even if the blogs have received the award. Make a list of the new blogs so others can check them out. So, here are the 15 blogs. There are so many more, and I know that many of these have received this award, but it sure does not hurt to get it more than once! Go check these wonderful blogs out! I have tested ALL day with 10 minutes for lunch! I actually ran out of things to do. I guess I will bring my nook tomorrow and Friday!